Durham Community Action Limited is a registered Charity (no: 229119), and a Company limited by guarantee (no: 309329). We operate across the whole of County Durham, and enjoy national influence and presence along with 37 similar rural community councils, through our membership of ACRE (Action with Communities in Rural England). Durham Community Action was originally established in 1935 as the Community Service Council for County Durham. Following a change of name in 1984, we were known as Durham Rural Community Council until November 2013, although we officially changed our name in July 2013. We are recognised as the leading infrastructure support organisation for County Durham, which means that we provide advice, support and assistance to frontline groups operating in the Voluntary & Community Sector and to various communities of interest. Our staff work closely with groups and with individual volunteers to identify their needs, to help find resources, and to provide the support and encouragement that local people need to make things happen for themselves. Our work is underpinned by the principles of solid community engagement, and this is reflected in the operation of our organisation. Membership is open to any like-minded individual or organisation that applies in the prescribed manner and is deemed acceptable by the Trustees. Our Board of Trustees is itself elected by our members to ensure that the organisation meets its objectives, is stable, financially sound, and well managed. We currently have 9 Trustees, all volunteers; one third of Trustees retire by rotation each year, and are eligible to stand again should they wish to do so. Our Annual General Meeting for members is usually held in October / November - please click on the panel to download our latest Annual Review. We also hold themed meetings during the year (also open to non-members) that promote our work and issues of local interest. 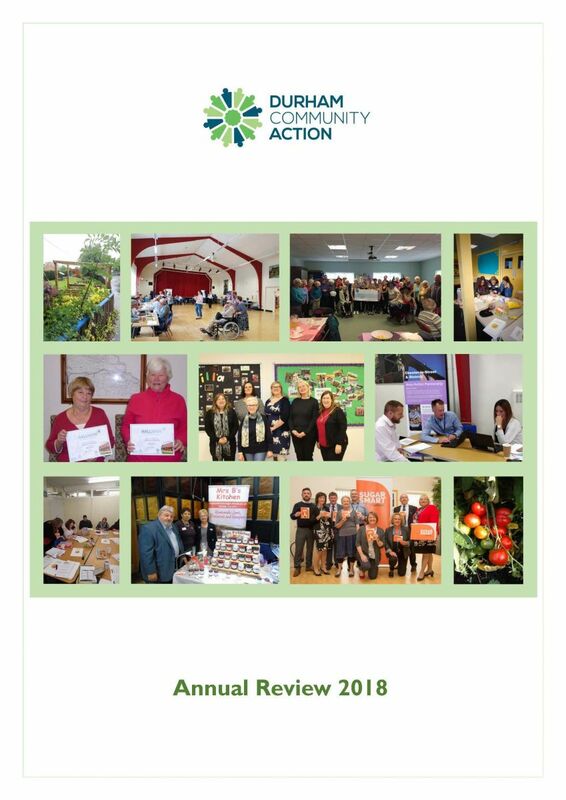 We distribute our e-bulletin 'Durham Community News' on a monthly basis together with other occasional publications, and distribute them widely across County Durham and beyond. For more information please write to or telephone the address below.